The Boston-born Puerto Rican Conga sensation has been lighting up the National music scene with so many different bands, it is hard to keep track. He is currently touring with The Ryan Montbleau Band as well as Martin Sexton. In the language of his Puerto Rican ancestors, The Taino, "Yahuba" means music or a 'grito fuerte y sonoro' (strong musical scream). 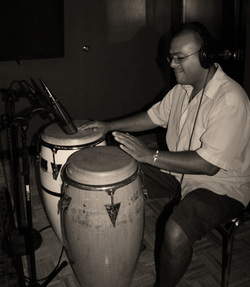 His instruments include congas, timbales, bongo, assorted percussion, and vocals. As an educator he has been visiting schools, speaking and performing in front of children of all ages about his Puerto Rican culture, music and heritage. Yahuba is also a part-time private percussion instructor at the Bradford School of Music. As a musician, Yahuba knows no boundaries, he embraces every style of music as if it was his own, and is true to the craft of showmanship. One only needs to see the charismatic joy he delivers through his music to understand how he got his name. Yahuba played percussion on every song but "Believe." 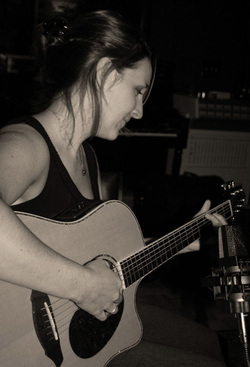 Juleen has a background in both acoustic guitar and bass, and has contributed to a variety of bands over the years from the rock and jazz genres. Currently, Juleen serves in the music ministry at Grace Chapel in Lexington, MA, as a worship leader and has been enjoying the opportunity to have a personal impact through something she is very passionate about. Her creative background also extends to her full time work as a graphic designer at AgaMatrix, Inc. When time allows, she loves to work on original songs she's written, or in support of other local singer-songwriters. Juleen played guitar on the songs "Promise" and "With Courage." Lisa has her master's in music therapy & mental health counseling and works for Merrimack Valley Hospice where she is coordinator of complimentary therapies for hospice and the pediatric palliative care program. Lisa played guitar for the song "Don’t Give Up on Me." Bob, who also co-produced, mixed, and mastered the album, played guitar on the lullaby "Heavenly" and Percussion on "One More Day." 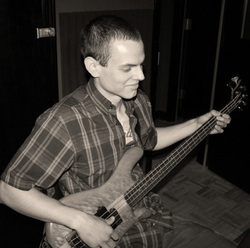 Nathan is a bassist from CA who currently attends the Berklee College of Music working toward a degree in "Contemporary Writing and Production" and "Electronic Production and Design." 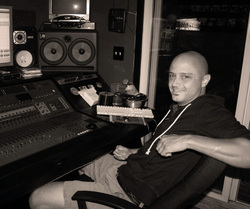 Nathan has played in bands/ensembles of many genres including: rock, jazz, orchestral, metal, choir, and experimental. He played for the California Baptist Male Choral from 2008 to 2009 and is currently working on a project with producer Sylvia Mazzy, who has worked with artists such as Tool, Powerman 5000, System of a Down, and Red Hot Chili Peppers. He is also an endorsed Spector Bass artist. 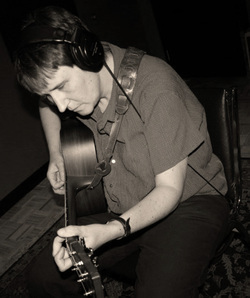 Some of his original compositions can be found here. Nathan played bass on every song on the album. Jess Turner is a 20-year-old singer-songwriter and multi-instrumentalist who is set to release her own album of acoustic, lyrical, soulful tracks later this year. 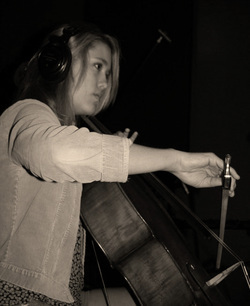 Jess has been writing music since age 13 and is also a classically trained pianist, cellist, and composer. Additionally, she has spent summers studying music at the Boston University Tanglewood Institute, Northwestern University Music Institute, and the North Carolina School of the Arts. "Broken Highway" is her first CD and is a collection of original, acoustic, singer-songwriter tracks. This extremely accomplished young musician played cello on three songs: "Never Surrender," "Not Lose My Way," and "Last Wish."